I badly fractured my shoulder in a car accident and have limited mobility in my right arm after the repair. Is there a way for me to safely bicycle on city streets with one arm? Can I modify my current bicycles -- or, are there forms of bicycles, recumbents, or trikes that are designed to be safely operated with just one arm? 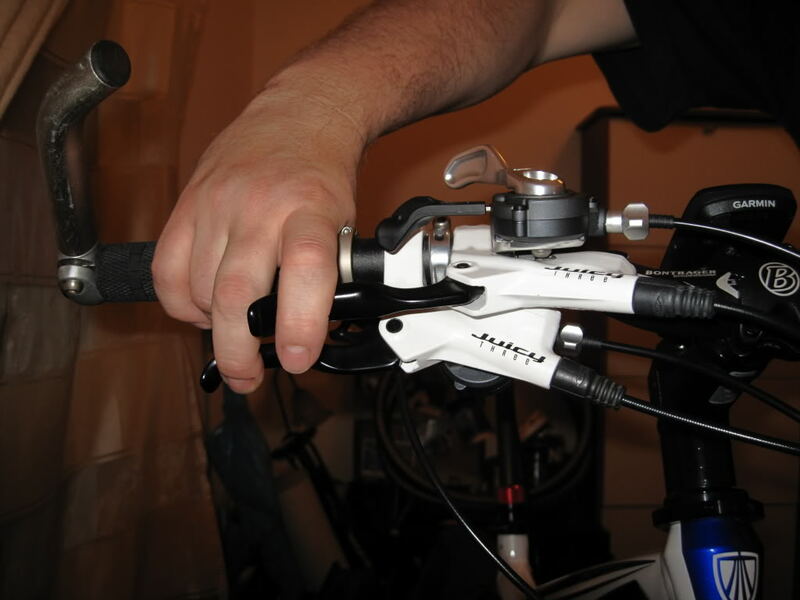 Related: can only use right hand to brake reliably, due to disability - safer/possible to modify bike? There are devices that allow a bicycle to be modified to make it easier and safer to ride with one arm. Riding safely would come with practice and confidence. Trikes or recumbents mentioned in the comments offer a safe alternative also. or the hydraulic Hopey system. There are a few online resources such as NotBroken which show both modified bikes and riders who use a single arm such as Tom Bannister. You will have to train to use the back brake, and try out a few "emergency" stops somewhere safe. These bikes aren't built to be fast and if you take your time and try to stay out of trouble, you will be fine. I damaged my rotator cuff, and when it was healing I got back on the bike. What I found helpful was a bike that had a sit up and beg geometry, thumb shifters (not twist shifters) and the use of the rear brakes as primary brake. A dutch style bike by Giant helped enormously, but it had the twist shifter for a Nexxus system. Alfine now has trigger systems that are more friendly and induce less steering torque. I don't think that there is a lot you can do from an equipment perspective in your case. It will be adaptation as needed. I regularly pass a commuter who is missing an arm (an older gentleman) and he seems to have overcome or avoids the difficulties that situation has. I’ve been riding with one arm for about twenty five years without problems. I have had many bikes (mainly old bikes with the front brake removed) and a few electric bikes again with no problem. I stay on the road. My current bike is a Felt Cruiser with back-pedal rear brake, normal front brake, and twist gears. Luxury! My biggest problem is hand signals. First off, it's totally possible to ride using just your one arm. There is a cyclist who actually rides while missing part of one of his arms. Oh yeah and he only has one leg! It's a pretty neat story. So while it's a tough situation to be in, I think you may have to learn to ride with the limited mobility you have in your arm. As far as I know, there isn't a specific device for those circumstances. In my opinion, you should take it slow and learn to ride with the limited mobility so long as it doesn't cause you pain. I would stay off of busy roads and things of that nature until you build up the confidence to ride like you used to. The last thing you want to do is end up back in the same situation or worse. I've tried to find some useful research for you but you are in somewhat of a unique situation. There is plenty of info and things for amputees and techniques on things like grabbing your water bottle but nothing for actually riding with limited mobility. I hope you can find a good solution and would be interesting in hearing what ends up working out for you. Some bicycle geometries are more stable than others, for example they can be ridden hands-free. Maybe bicycle that is stable enough for hands-free riding would be beneficial in your situation. 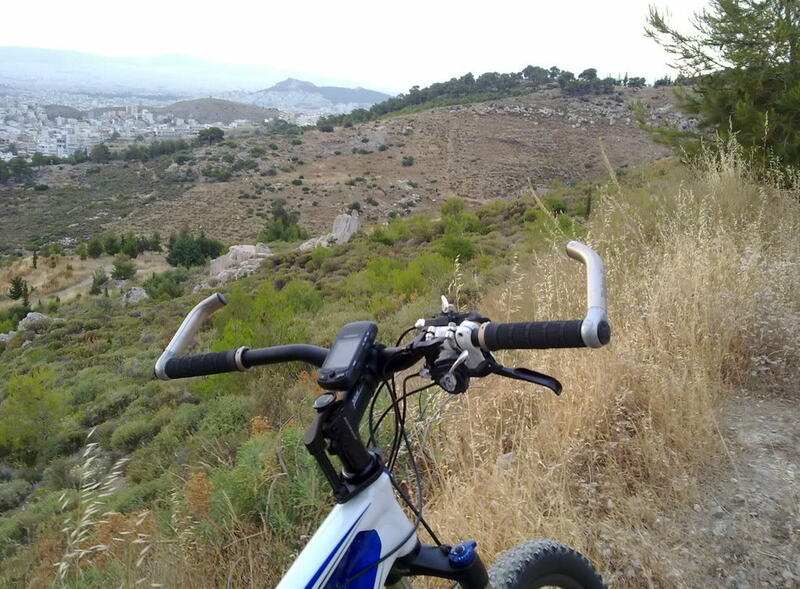 You can easily try out a few bicycles and see which ones rides best hands-free, and then choose that bike as a starting point for the modifications described by other answers here. Also, having an internal hub give you another braking option. A bicycle that is more stable means that it requires less frequent corrections to get it back on course. The more stable the bicycle is, the lower the wobble frequency (I don't know the technical term for this, but on a fast bike, the rider has to immediately correct any deviation, a touring bike in contrast is more sluggish and requires fewer and slower corrections). Roadbikes are made to steer very quickly, as this is a requirement for racing. 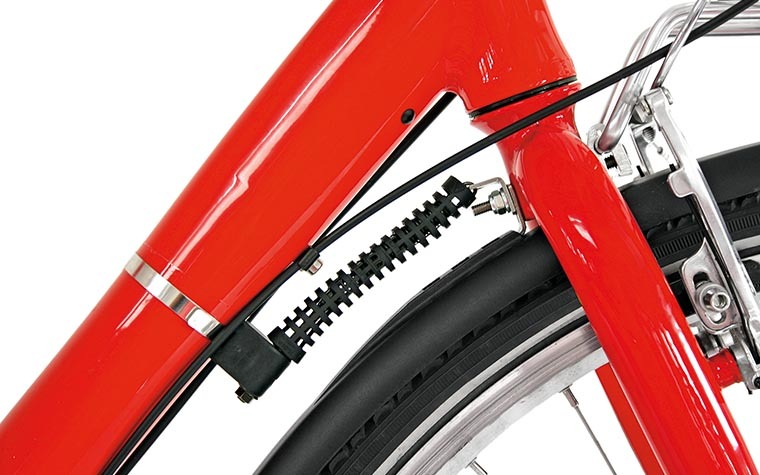 Having a more sluggish bike (like a touring bike), might make it easier for you to hang on to the handlebar with one arm, as you will need less control input overall to make it go straight. On a short wheelbase bicycle, you'll have to constantly correct in order not do trip over. 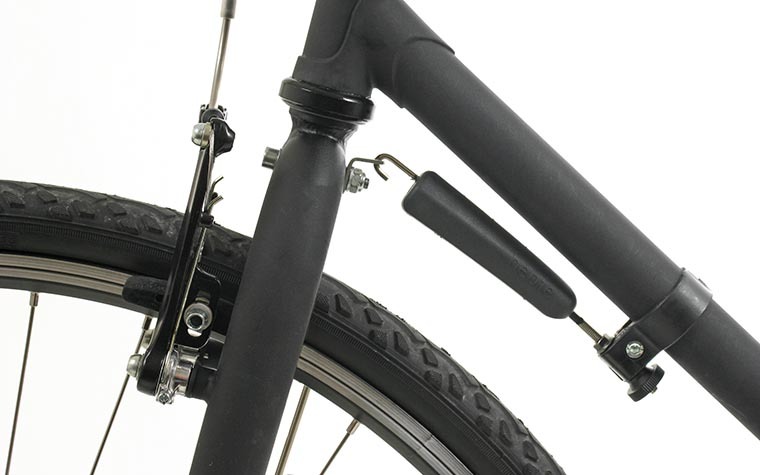 So try out a classic long wheelbase touring bicycle with a stable steering geometry. You will be able to sit more upright with less pressure on your arms and back, I like their classical square diamond frames. Not the answer you're looking for? Browse other questions tagged safety injury disability adaptive or ask your own question. Is it possible to mount a disk brake hub to a rim-brake rim?